“I recently engaged Josh Monen to write my copy for our business email follow-up campaign, after attempting to write the email copy myself. Josh’s work ran rings around my attempts. I think when you are in your own business it is difficult to be objective and thus hiring a professional writer will ultimately be the best move. Josh’s writing is exactly what I was looking for: he quickly showed an understanding of our business, he reiterated this in an engaging way and has provided value-add to our clients. In addition Josh’s professionalism was outstanding. I would recommend Josh to anyone needing the services of a professional business copy writer. “Working with Josh was the best decision we made when developing our new website. After spending about an hour with him on the phone, he got our entire website concept and was able to clearly articulate “our story” precisely how we were looking to do it – the content, the tone of voice, everything. It’s as if he was a part of our company and our culture. “Working with Josh has been an absolute pleasure and I’ve been impressed with the cooperative style of relationship and the additional recommendations that demonstrated a deep knowledge of what works as well as proactivity and genuine care about the business outcomes. The resulting copy was easy to read and enticing – I was even impressed reading about us! “I’ve been running a web design and online marketing company (uglymugmarketing.com) for over 5 years, and not a week goes by that I don’t receive a pitch from a copywriter or a PPC manager. Over the years I’ve unfortunately been burned, more times that I care to count. So many talk a good talk, but they never deliver results. “If you are looking for someone who can understand your product, market, and customer quickly, then Josh Monen is your guy. Josh came highly recommended through a trusted business contact and we immediately hit it off. He is very humble and took the time to understand my needs and create high quality copy. “Josh is more than a copywriter or editor, Josh’s value comes from his ability to think about projects holistically. Josh has the unique ability to understand how content will be consumed by the reader and help your company understand the action that consumer will take next. He’s a content strategist whose words help guide that buyer through a journey that can ultimately lead to your product or service. “As a Project Manager in a web development company, I often tell my clients they need to work with a professional copywriter if they really want a great site. The copywriter keeps a project moving forward by providing the necessary content. Plus, a great copywriter provides content that sells. And Josh is a great copywriter. I took a client on recently who completely stalled when it came to their copy. Their photographs were fantastic and their site design was excellent, but without good copy, the site was going nowhere. I was finally able to overcome their objections to the additional cost by helping my client understand that great copy is not an expense but an investment. 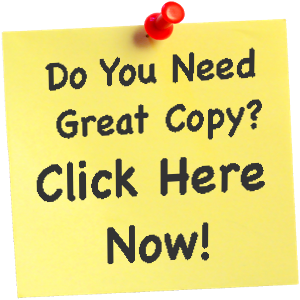 “Josh Monen is a Top Notch provider of copywriting services! His vast understanding of small businesses and his ability to understand my vision and direction for my clients copywriting needs has put him on the top of my list for copywriting services. “Josh has been a freelance writer for Bankrate Insurance / insuranceQuotes for over two years and he’s a pleasure to work with. He’s thorough, insightful, sends thoughtful pitches that are well-researched and fill a genuine gap on our sites and is able to convert his pitch and my angle into excellent content.